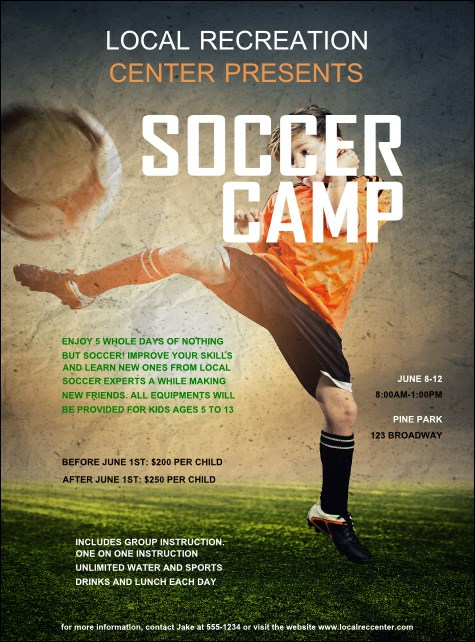 Get fans in the game and promote your futbol event with the Soccer Camp Flyer. A young athlete kicks a ball right toward the viewer on this design, with all event details listed below. Hang these flyers up around town or distribute to interested fans to promote your athletic event.